The great outdoors is filled with wildlife, including bugs. There are all kinds of insects that prefer to mind their own business, but the ones that bite, like mosquitos, ticks, and no-see-ums can be a nuisance, not to mention disease spreading. Biting insects can downright ruin a good campout, but you shouldn’t stay home because of bugs. From natural insect repellant to DEET-based products, bug-resistant clothing, and screen rooms, there are many ways to keep the bugs away. A few things to keep in mind when going camping is that bugs are attracted to smelly things like scented lotions and food. Avoiding any hygiene products that have a perfume will help keep the bugs away. Also, keep a clean kitchen; wipe down the campground table upon arrival and after each meal, wash your dishes immediately after cooking, and store trash and food appropriately. Bugs also love damp or moist areas. If you can, avoid camping near wet grassy lawns, meadow areas, or stagnant water. But if all else fails and the bugs are still biting, there are a number of products that help keep the bugs away. Note: these products all emit a scent and/or smoke and should only be used outdoors. If the bugs aren’t too bad a natural or herbal product is usually sufficient. Lavender has considered a natural insect repellant and a number of sunscreens have lavender oils for a little-added bug protection. Avon’s Skin So Soft products are considered by many people to be the most effective insect repellant that does not contain DEET. Garlic is also thought to ward bugs away, but you’ll have to eat a lot of raw cloves to see any results. Any lightweight long sleeve shirts and pants will help keep the bugs off your skin, but sometimes mosquitos can bite through your shirt. And if it’s hot, you don’t want to wear extra layers. A few outdoor clothing companies make clothing with insect repellent in the fabric. These shirts actually work well. You can also by a wash and treat your own clothing. The advantage of wearing treated clothing is that you don’t have to put toxic creams or sprays on your skin. Ex Officio and Buzz Off both make insect products that have great reviews. Unfortunately, the bugs can be so bad that you’ll want to use a spray or cream that contains DEET. It is the most common ingredient in insect repellants and the most effective. 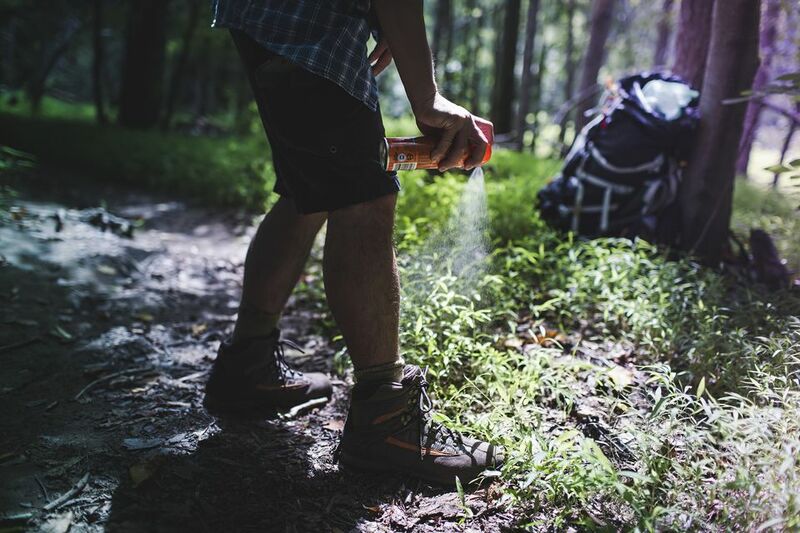 Typically, the higher percentage of DEET in your repellant, the more effective the product will be. These types of sprays and creams tend to be greasy and have an awful smell. But if you wear a DEET spray, the mosquitos will leave you alone. Avoid putting these products directly on your skin if possible. A lightweight shirt, hat, and pants sprayed with a DEET product usually do the trick. Be careful not to breathe the spray! Citronella is an oil that is considered a natural insect repellant. Many companies make candles infused with citronella oil and a few lit candles can be effective around camp. Though they aren’t typically strong enough to ward away the masses, citronella candles do minimize the bugs. The trusty head neat is efficient for intense bug storms and are especially nice for hiking and fishing. When all else fails, the clothing, the repellant, candles, coils, and lanterns just won’t keep the bugs away, consider a screen room. These tents are designed to protect you from the bugs, while still allowing you to enjoy the outdoors. A screen room is basically a tent with screen walls. The bugs stay away and you can hang out outside. Pitch your tent in any of these 8 great camping destinations this spring!